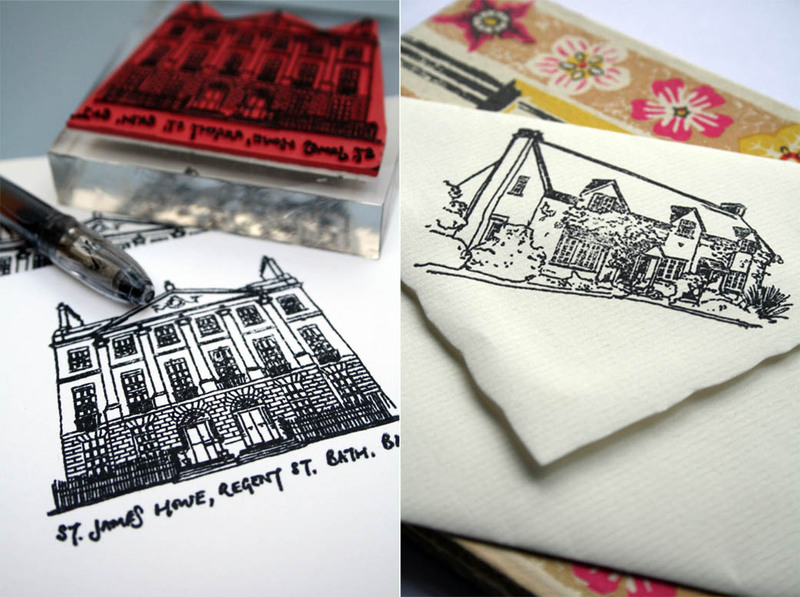 100% unique; a beautiful and useful gift; a bespoke rubber stamp made from an original illustration of your home which you can use to make your own stationery. 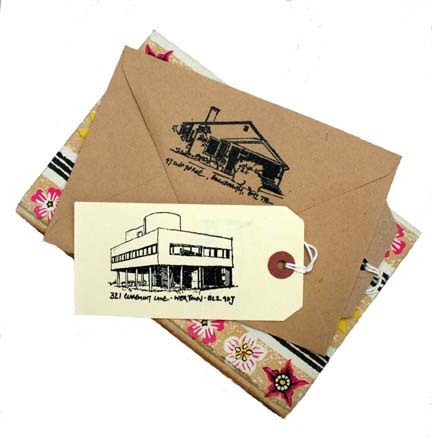 Address can be added at no extra cost. · Just ‘stamp’ as many as you need at one time. It makes a great gift and is a beautiful object in itself. 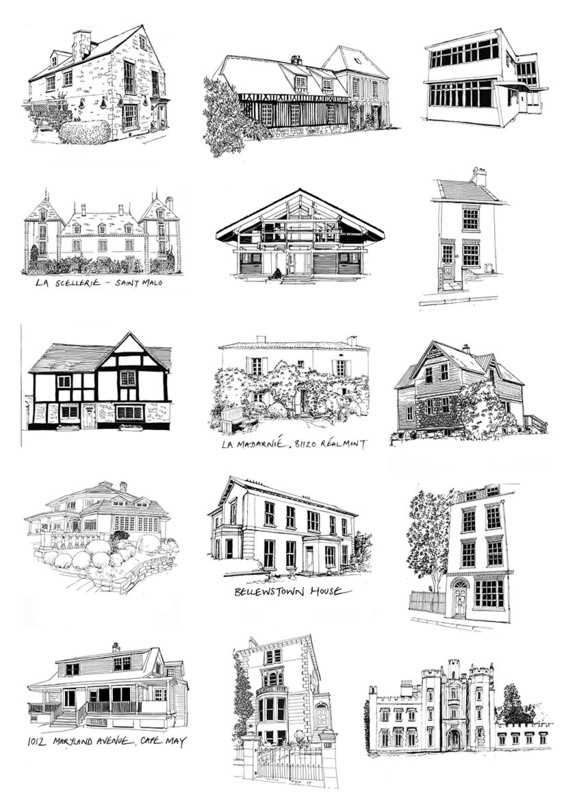 Simply send a photograph to me at info@hollyshouses.co.uk and I will draw an illustration of your property, make it into a rubber stamp and send it back to you, together with a black ink pad to get you started. The rest is up to you. Easy to use and easy to clean; just use again and again. How big are the stamps? They are usually around 7cm x 7cm but I can do bigger or smaller if you wish. Costs may vary. How long does it take to make a stamp? Usual lead times are between 2-3 weeks from confirmation of order. If you need something doing more urgently than this do get in touch, it might be possible for me to do something quicker for you. Can you add an address? Yes, you can add whatever text you want bearing in mind it may affect the size of the house image. A usual address running over 2 lines works fine. Do the stamps have handles on them? 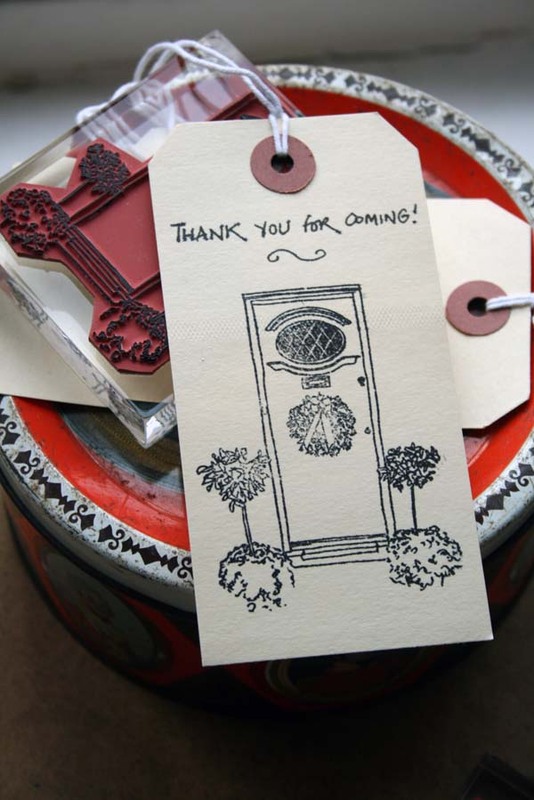 If the stamps are going to be used often and for lots of multiple stampings I usually recommend a handle for ease of use. Otherwise they are mounted on very smart perspex blocks which makes them more giftable items. The cost is the same. What sort of photos do you accept? Digital photos are great, please send them to: holly@hollyshouses.co.uk - I can accept most formats (jpeg, png, tiff etc) - the bigger the better so I can see all the details! I can also work from hard copies (good old fashioned snaps!) 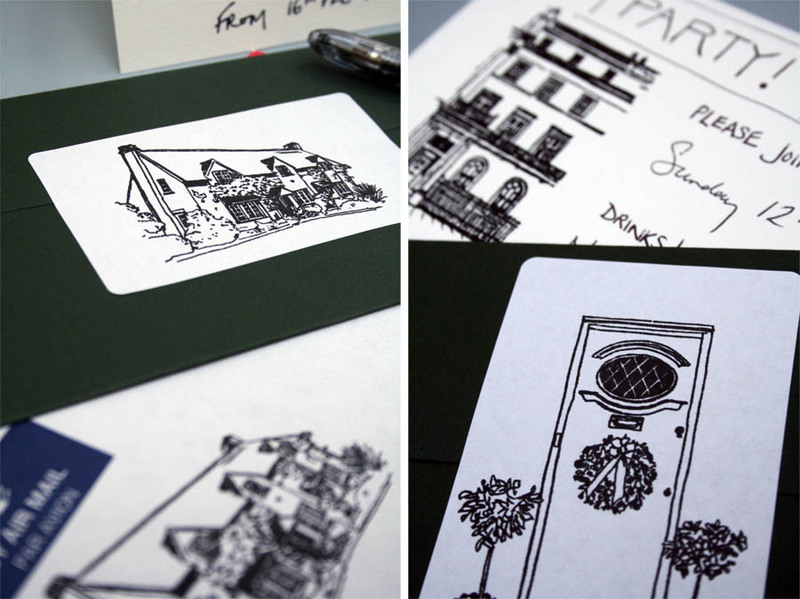 - please get in touch and I will give you an address to send them to. Do I get to see the drawing before you make it into the stamp? I'm afraid I don't offer a proofing service with the stamps because of the additional admin time required that is not currently factored into their price. However I can offer this for an additional £10. You would need to mention this upon ordering. Yes, I can deliver anywhere in the world. Please get in touch for delivery costs to wherever you are! At the moment I am unable to accept credit or debit card transactions.